Randy Witwick is the founder of STEM Robotix. He has spent his career in the robotics and automation fields within the automotive and industrial sectors. Randy has a BS in Electrical Engineering from Kettering University, an MS in Computer Engineering from the University of Michigan and is a licensed Professional Engineer in the state of New Hampshire. Randy has been successful in helping children to learn and progressively improve their STEM skills through the use of mobile educational robots. He is an active member of the local robotics community in the Upper Valley and has coached FIRST Lego League student teams and run training seminars for FLL coaches as well. 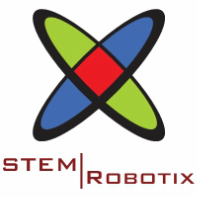 STEM Robotix maintains a dedicated classroom environment in Hanover, NH. Students, generally working in pairs, will use dedicated robot platforms so that incremental progress in designing, building and programming occurs from week to week. The center will use the appropriate software depending on the ability and experience of the students. These programming applications include NXT-G, EV3-G, Scratch, C, RobotC, LeJOS (java) and python.